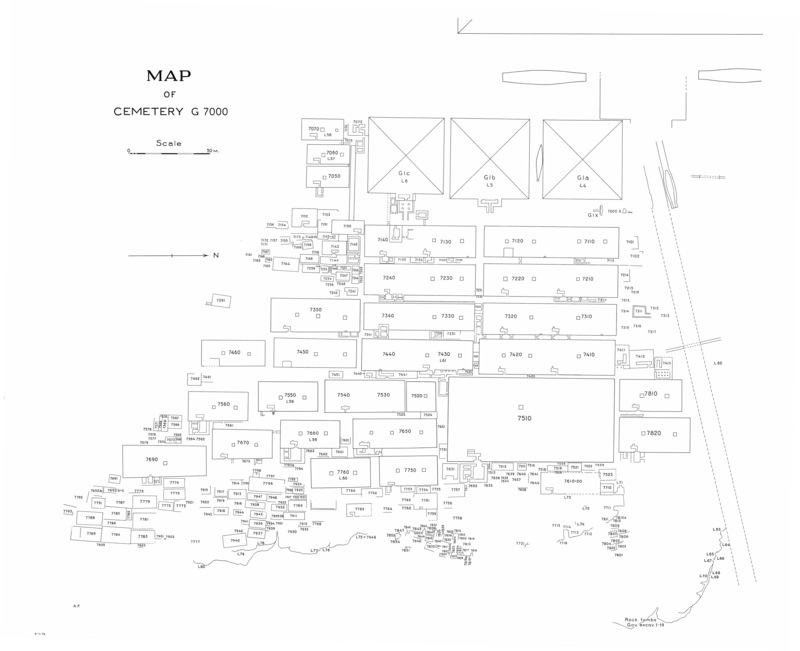 Giza Necropolis I, map 3. Initialed "A.F." Kendall, Timothy. "An Unusual Rock-Cut Tomb at Giza." In William Kelly Simpson and Whitney M. Davis, eds. <I>Studies in Ancient Egypt, the Aegean, and the Sudan: Essays in Honor of Dows Dunham on the Occasion of his 90th Birthday, June 1, 1980. </I>Boston: Museum of Fine Arts, 1981, pp. 104-114. Kendall, Timothy. "An Unusual Rock-Cut Tomb at Giza." In William Kelly Simpson and Whitney M. David, eds. Studies in Ancient Egypt, the Aegean, and the Sudan: Essays in Honor of Dows Dunham on the Occasion of his 90th Birthday, June 1, 1980. Boston: Museum of Fine Arts, 1981, p. 107, n. 7. Reisner, George A. A History of the Giza Necropolis 1. Cambridge, MA: Harvard University Press, 1942, map 3.